The world’s longest bridge linking Kuwait City to Subiyah New Town across Kuwait Bay is set to be completed this year. 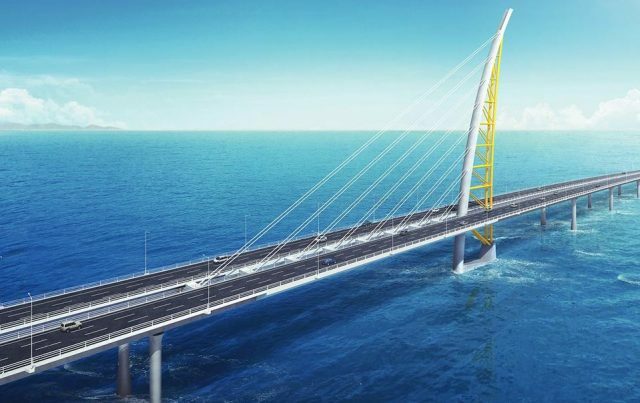 Media in South Korea reported that Hyundai Engineering & Construction (Hyundai E&C) will complete the Sheikh Jaber Causeway in 2019, six years after winning the contract for the $2.6 billion projects. 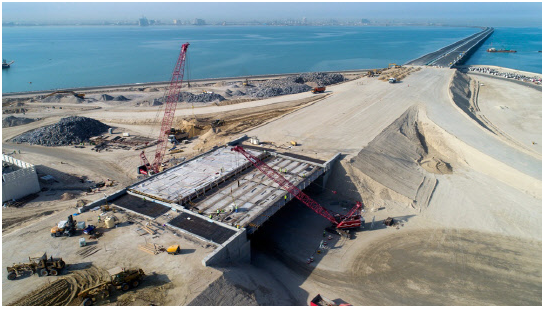 The total length of the bridge to be completed this year is 48.53 km, including the 36.1 km long main bridge and the 12.43 km long Doha Link, another Hyundai E&C project under construction in Kuwait. It is about 7 km longer than Haiwan Bridge (41.58 km) in Qingdao, China. It is the largest civil engineering project landed by a Korean contractor since the waterway order from Libya in 1984. The core of this project is the construction of the main bridge. 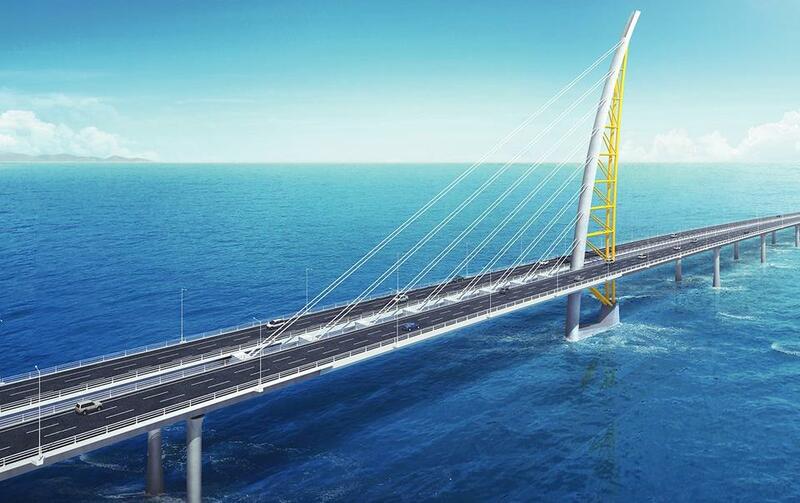 The central part of the marine bridge, a 340-meter section, was built in the form of an asymmetric cable-stayed bridge, which requires high-level design and construction technology. In a commonly used design of cable-stayed bridges, bridge tops are connected with pylons through cables. But it is not common to build an asymmetric cable-stayed bridge. The main bridge of Sheikh Jaber Causeway connects cables to one side of its sail-shaped pylon.